The website to find your yoga holidays and yoga retreats. ﻿Yoga is becoming more and more popular these days and more and more yoga events, yoga holidays and yoga retreats are being held all over the world. This is a great thing! More people becoming conscious about their mind&body and aiming to live a healthy, loving and awakened life. On this site you will find yoga retreats from all over the world. when you are looking for a short yoga holiday, for yoga courses, for yoga teachers or events. The nature & meditation retreat in Portugal is a retreat to enter into silence to rest the mind, to regain focus and consciousness and to connect with nature. Take a week to process, reset and become aware of the peace within in a wonderful environment. A week to re- energize, vitalize and connect. 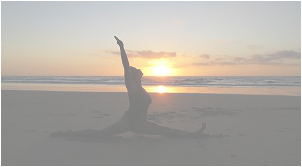 Twice a day yoga classes and meditation classes with (optional) surfing classes and nature walks. Advertise your holiday, retreat, yoga-center or course with us. The advertisement your business and boost your audience! You can either advertise a yoga retreat, yoga course, yoga event or your website , let us know which one of the two you want to advertise. Advertising your yoga holiday or yoga retreat is easy. Just write an email with a short description of what you offer ( max 40 words) with small image to info@best-yoga-retreats.com and after checking it we will put it on the site for you. Click on the link below for all advertising packages.